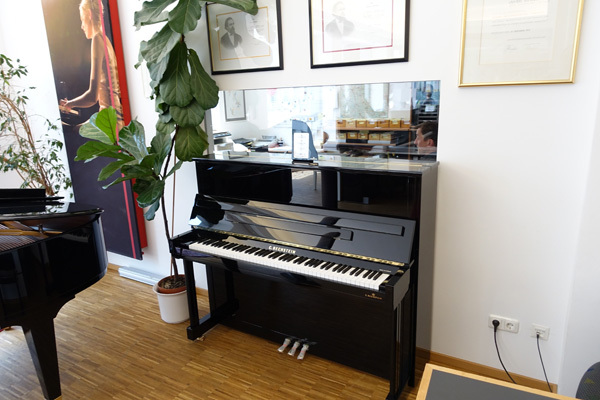 The Zimmermann S3 model uses Bechstein’s independently designed keyboard and action, with precise and sensitive touch. The technicians poured their emotions and injected souls into the piano. The superior timbre and touch were only surrendered to your highest pursuit of music. The Zimmermann S3 upright is equipped with piano fallboard descent control which helps to protect young children’s hands from accidental injuries. The compact and flexible design of Zimmermann S3 makes it suitable to be played in rooms or apartments of any size, and the perfect choice of all players. The production of the Zimmermann S3 upright piano is controlled in-house by Bechstein’s experts, who only grant the Bechstein quality seal to instruments that are truly worthy. Bechstein insists on the use of natural materials, from the elasticity of the felt layer to the softness of the leather, rigorous testing will be passed to ensure the perfection of the piano.